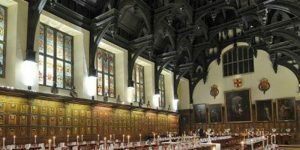 9 November 2017, Middle Temple Hall This lecture series aims to stimulate debate, to inspire lawyers to participate in rule of law related work and to promote greater awareness of the importance of the rule of law. We have been fortunate over the past decade to attract outstanding speakers from across the globe, each with their own perspective on the rule of law and each with their own thoughts on the challenges presented. The Bar Council is delighted to announce that this year’s speaker will be Dr Shirin Ebadi, who was awarded the 2003 Nobel Peace Prize for her efforts to promote human rights, in particular, the rights of women, children, and political prisoners in Iran.